With her cultural and global savvy, Adrijana took Worldwide Interpreters farther than anyone could have imagined. She worked tirelessly growing her business and providing a rock-solid foundation of services. She was a one-woman show, dispatching interpreters and translators before the time of cell phones, texting and Google maps! Adrijana’s clients were mindful of the hard work and dedication she utilized to complete her tasks and called her a credit to the profession and to the community. Originally, I began my career in the automotive industry. I worked as an automotive tool designer responsible for drafting components for automotive assembly lines. In the 80’s and 90’s automotive tool design was a massive industry in the Detroit area and it was all paper based! Here’s a picture one of my past colleagues posted on LinkedIn recently. A trip down memory lane for sure! 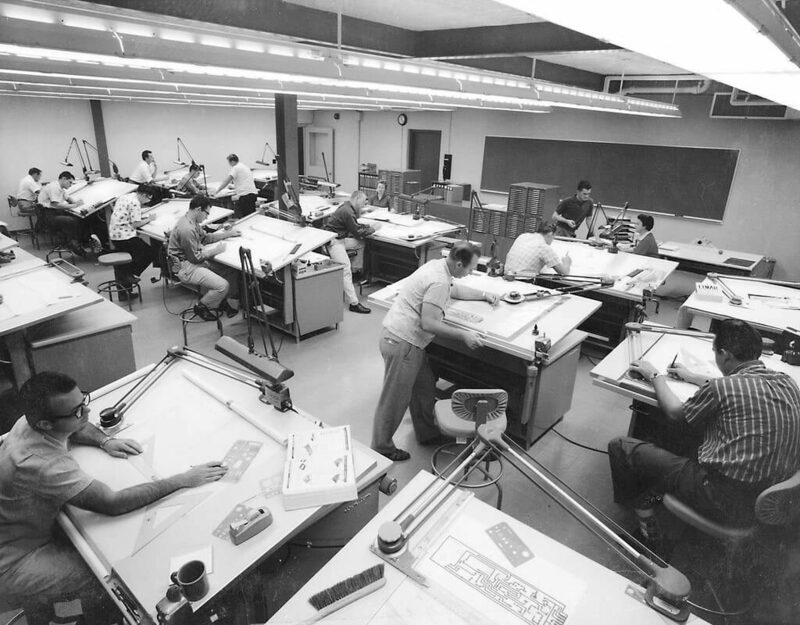 I am not in this picture of course, but it’s a great example of a drafting room and how we all had our noses to paper. We did everything manually on drafting tables. It’s the 80’s version of “text-neck”. In the late 90’s new technology arrived into our industry and eliminated the need for hand-drawn designs. All the hand-drawn drafting models now were being done by CAD software. I was one of the casualties of the industry turnover. After the layoff, I was very fortunate to work for many years at military defense company which was a military supplier for the government. However, again that type of work dried up. My mother worked for Adrijana as an interpreter. She told me that Adrijana was very busy and needed office help. Initially, I went into her office and helped her process paperwork for just two days a week. As her business grew, so did my responsibilities and hours spent assisting Adrijana at Worldwide Interpreters. Adrijana and I worked great together, and it’s there where I found my calling to help bridge the gap between language and culture through translation and interpreting. Being a child of immigrants myself, I have always had a passion for assisting people of all nations to feel welcomed, accepted and heard. 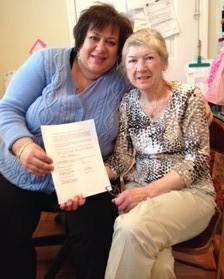 When Adrijana was ready to retire in 2013, I was honored to purchase her business and continue her legacy of helping others understand and communicate no matter the language. Here’s a picture of us when we signed the legal papers. It’s an honor to carry on Adrijana’s work as she is now enjoying her retirement and fruits of her labor.